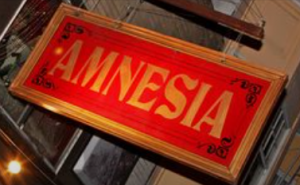 I’ll be playing my first-ever show in the great venue Amnesia, on Valencia in San Francisco. This place has become an institution for Bay Area live music, and I’m thrilled to be opening things up on a fun evening of talented songwriters! It’s also my first show within the actual city limits of San Francisco in a long time. So join the Facebook event, share the event, come early, stay late and bring a bunch of friends with you! It’s gonna be a good time.